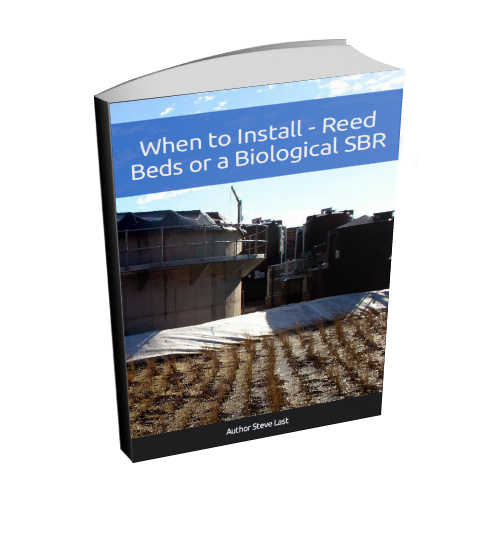 The question often arises for landfill operators, of whether to use a “SBR” Leachate Treatment Process, or if the cheaper alternative of a reed bed can be used. The answer is that it depends entirely on the strength of the contaminants in landfill leachate. The first choice, when enough land is available to site a reed bed, is the use of low running cost, low energy consumption, reed beds. 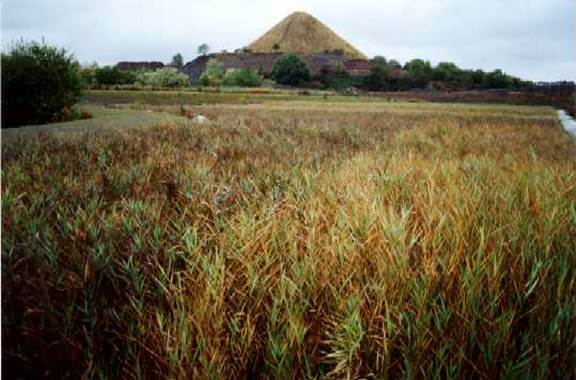 However, simple reed beds designed to be fed with leachate as horizontal flow type, engineered wetlands have a limited application for landfill leachate, because these traditionally laid-out reed beds can only be used for very dilute leachate from the very oldest landfill sites. These are sites which were built before the adoption of sanitary (lined) landfill practise, where the leachate is at its weakest. These landfills where reed beds alone can be used for leachate treatment are usually those landfills which are not lined nor capped, and located in temperate and wet places. This means that their leachate is substantial diluted, and old, and has been weakened by the addition of groundwater and rainwater entering the landfill. These would have been called tips or dumps in their day. Modern “sanitary” (lined and capped) Municipal Solid Waste (MSW) Landfills invariably have a much more heavily contaminated and “fresher” (more acetogenic) leachate, and a more high-tech treatment system then becomes essential. For many landfill operators the most successful method a leachate treatment for the past 30 years has been the biological aeration of a microbiologically active sludge, and this is followed by a anoxic phase reaction known as denitrification, where removal of total nitrogen is required. “If a reed bed won’t do the job, an SBR, or nitrification followed by denitrification type system, is the next option to look at in most cases”, Leachate Expert, Steve Last of IPPTS Associates said. A common feature of such process designs is that they are “sequencing reactors”, which simply means that they are run by computer controls, on a batch process system. The computer is used to automatically control the periodic feeding of leachate, aeration, chemical dosing, and discharge of each batch, etc. Plants like this have become known as simply “SBRs” (Sequencing Batch Reactor Plants), in the leachate treatment industry. they may alternatively only pre-treat the leachate to remove a proportion of the contaminants, before discharging it for further treatment into a public sewer. In such cases the receiving sewage works provides the necessary additional treatment. 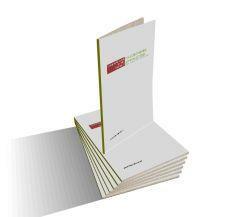 Scroll Down and Download our Free eBook. Keep this page on your computer, and read it later! The simplest SBR landfill leachate treatment plants use the biological aeration (nitrification) process in a single tank or lagoon. These plants work automatically to run each batch filling of leachate through its treatment cycle. Once every predetermined time interval of from 6 hours to a day or more depending on the raw leachate strength and the discharge effluent quality needed, to satisfy the requirements of the local environmental regulating body. More than 50 SBR landfill leachate treatment plants have been constructed to designs by Last, Robinson and Olufsen, in many countries worldwide, and original plants have been in operation for in excess of 20 years. SBR landfill leachate treatment plant technology is now thoroughly tried and tested, and a wide range of operational data on such plants while in operation, has been reported in published papers. The design of this type of SBR is similar in principle to the activated sludge process, which until recently was the process adopted for almost all wastewater treatment works (sewage works). In an SBR, similar aerobic reactions occur. Similar microorganism do the work of “treatment” in the tanks of both systems. But, there are important differences between sewage and leachate, and the most important difference is the far higher ammonia (ammoniacal-N) in leachate, so that is where the similarity ends. In fact, the activated sludge process as used by designers of sewage treatment works, suffers from the problem that it becomes unstable when treating the high ammoniacal-nitrogen concentrations in full strength sanitary landfill leachates. Perfectly well experienced sewage treatment process experts have many times come unstuck, when making attempts to modify sewage works type activated sludge treatment systems to adapt sewage works designs for use in leachate treatment. Activated sludge wastewater processes which have been used to treat leachate cannot match the robustness of a well-designed SBR/ nitrification/ denitrification process, provided by a leachate treatment expert experienced in leachate treatment plant design. Most people in the landfill industry say that leachate is hard to treat. But, that sentiment comes from the large number of failed leachate plants which have been designed as if leachate was somehow comparable with sewage, and in that the mis-judged use of reverse osmosis (RO) Plants can also be considered a factor. However, use of the SBR nitrification/ denitrification process, when applied correctly, often in combination with RO and/or ultrafiltration offers a robust and as stated previously proven technique for the treatment of strong leachate from all modern sanitary landfills. A stated earlier, as well, in many examples these are provided in combination with a compact reed bed which provides polishing of the effluent to a very high level of purity, and provides a process performance buffer, before the treated water enters the natural environment. Open a valve and draw-off the clean water off the top of the tank. Secondary clarifiers for particulates removal are not needed in many cases, and therefore a compact footprint is possible. The SBR process, also operates with minimal sludge generation for most leachates, so there are none of the large sludge disposal cost of some other designs. 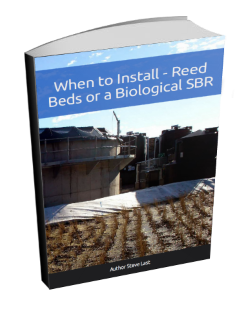 So, you now should have found out when to Install Reed Beds or Biological SBR Treatment. Robinson, H.D. Olufsen, J.S. and Last, S.D. (2005). Design and operation of cost-e=ective leachate treatment schemes at UK landfills: Recent case studies. Published in the CIWM Scienti%c and Technical Review, April 2005, pp 14-24 © 2005 IWM Business Services Ltd. 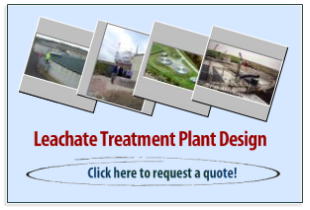 Need Help with your Leachate? We provide leachate consultancy advice for all landfill leachate requirements. Whether you have a new landfill which needs a leachate plant, or you simply have problems with an existing leachate management system, we can help.